What is your favorite cooking method for ribs? Do you have any suggestions of a marinade? My Taiwanese friend, Chris, loves to cook ribs whether it is barbecued, oven baked, pan fried, used as an ingredient to flavor up soups, he did most of them. I wished he has a slow cooker, I bet it would even be messier, yummier and flavorful. Here are some of his past dishes: Kalbi and Bulgogi, Pan Fried Marinated Spareribs, Sukiyaki, Daikon Soup with Short Ribs. This time, he used Thai flavors to marinate the ribs and then cook in the oven. This recipe is adapted from Martha Stewart. 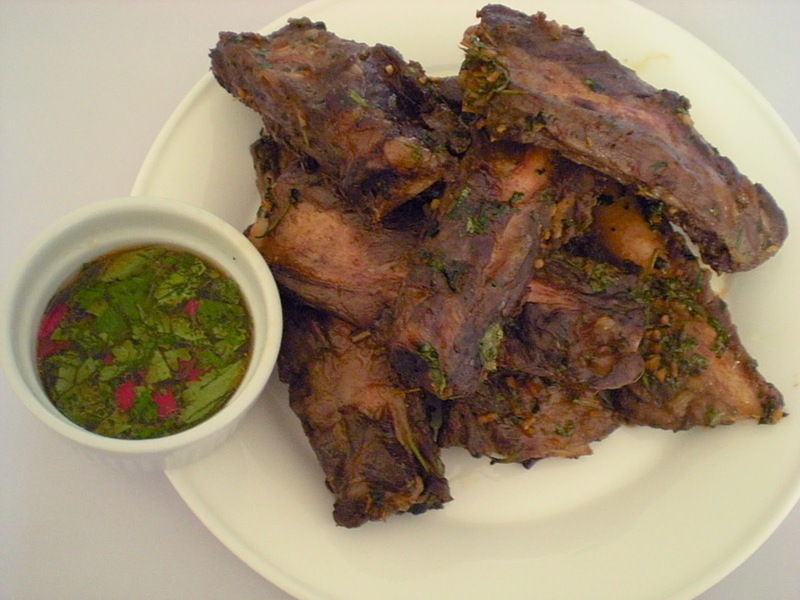 There is also a Thai dipping sauce that is served with the ribs, but I don't feel that it is necessary since the ribs have lots of flavors from the marinade. I wrote down the recipe anyways. 1. In a bowl, combine all ingredients for the marinade. Place ribs in a ziploc bag and pour the marinade. Refrigerate and let it marinate overnight. 2. Preheat oven to 300F. 3. Remove ribs from refrigerator 30 minutes before cooking. 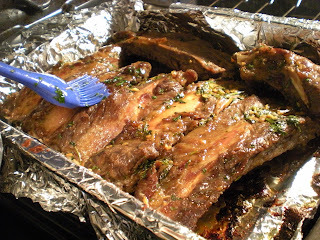 Remove ribs from marinade and place it in roasting pan with aluminium foil. Pour half of the marinade over the ribs. Reserve remaining marinade. 4. Bake for 1 hr 30 mins until meat begins to pull out from the bone or until the internal temperature reaches 160F. Turn ribs every 30 mins. Baste occasionally with reserved marinade. 5. 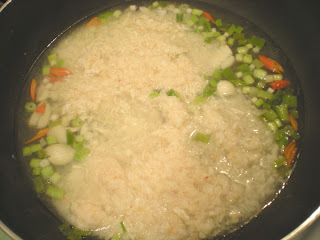 Meanwhile, combine all ingredients for the dipping sauce, stir until sugar has dissolved. 6. Remove from oven and let it rest for 10 mins. Serve with dipping sauce. After 8 months of waiting, I finally got this recipe in my disposal from my friend from l'Ile de la Réunion. This recipe could have been the 150th post on Random Cuisine, still the Maltese Pudina-Chocolate Bread Pudding is an excellent dessert and we recommend you to try it out if you haven't done so. 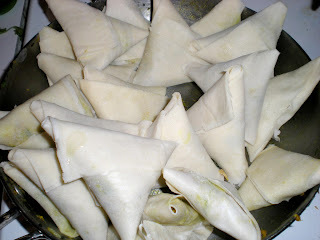 Have you ever made samosas? Do you have a suggestion for a filling? If not, here's your chance to impress your friends. I can guarantee you that eating one samosa won't satisfy your appetite. 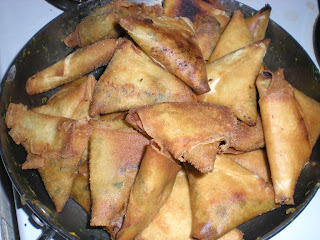 Samosas are so versatile, you can use any fillings: mashed potatoes, cheese, ground meat and even chocolate!!! 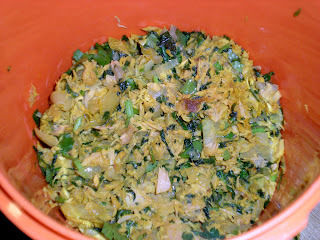 Here we used tuna mixed with onion and seasoned with a bit of curry powder and turmeric. Making samosas can be tricky at first, so I took step-by-step pictures to help you out. The recipe is inspired from Goutanou. 1. In a skillet, heat oil over medium heat. Cook onions until transparent. 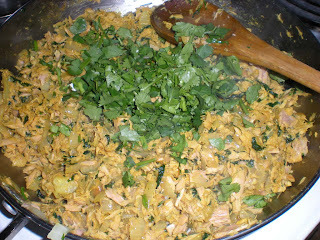 Add in garlic and half of the coriander, cook until fragrant, about 1 min. Mix in curry powder and turmeric. Season with salt and pepper. 2. Remove from heat. 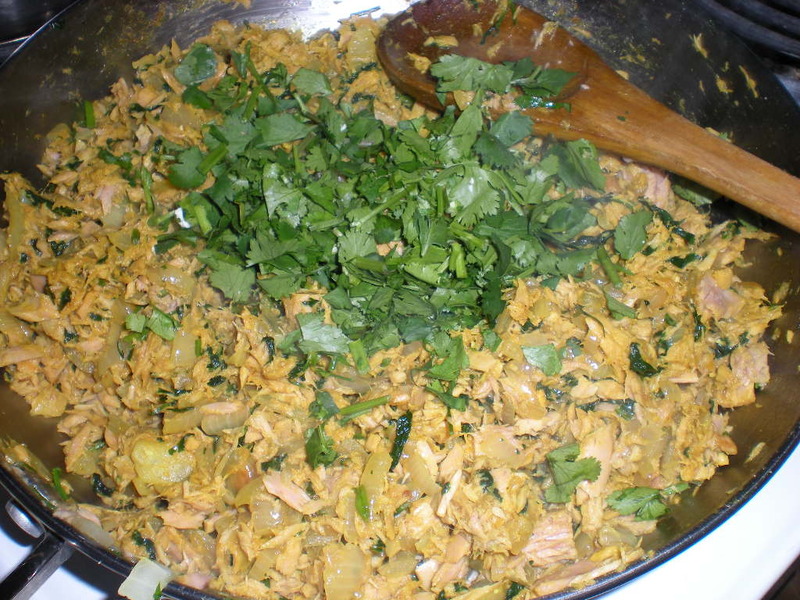 Mix together cooked onions with tuna and add the remaining coriander. 3. 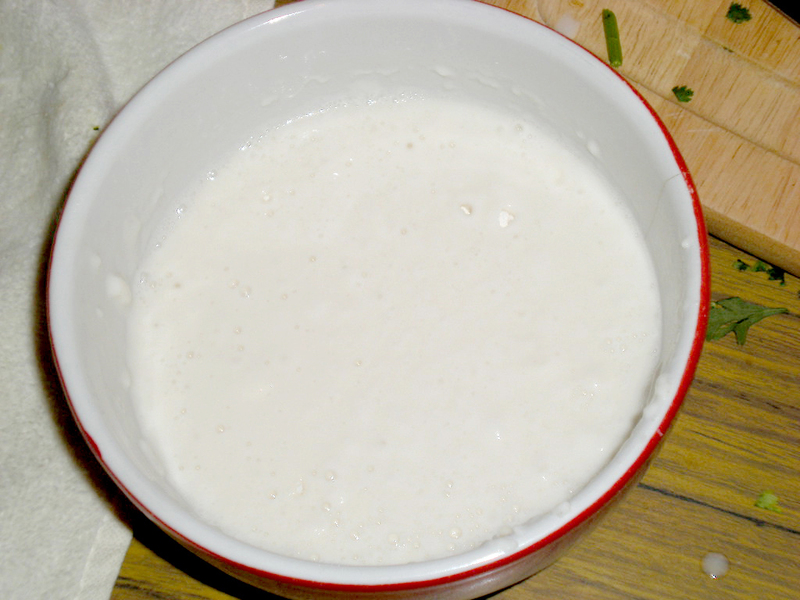 Transfer filling to a bowl. 4. 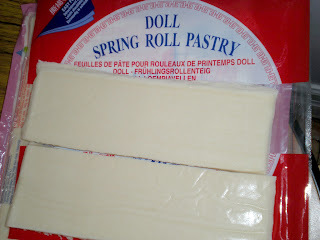 Cut spring rolls sheets into thirds (4cm x 20cm). 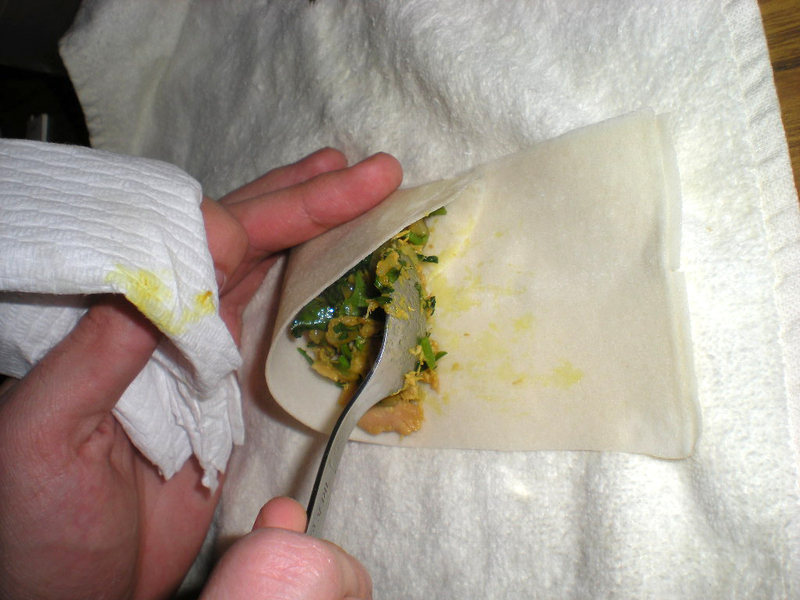 Wrap the spring roll sheets with a damp towel for several minutes or until humid enough to handle it. Too much moisture can break it apart. Be careful! 5. In a small bowl, add flour and enough cold water to reach a "glue" texture. 6. 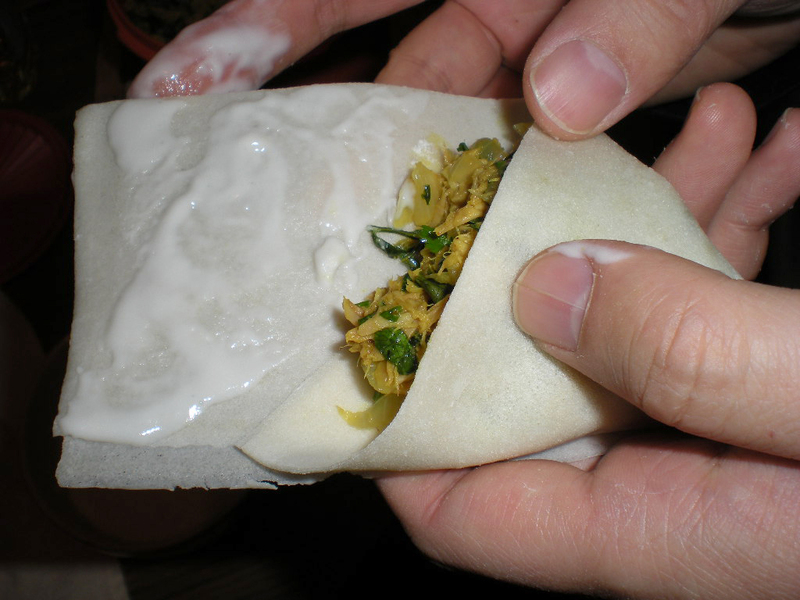 Use two spring roll sheets. 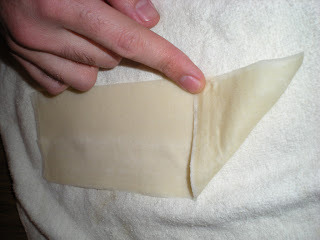 Fold one corner and bring it to the opposite side of the strip. 7. 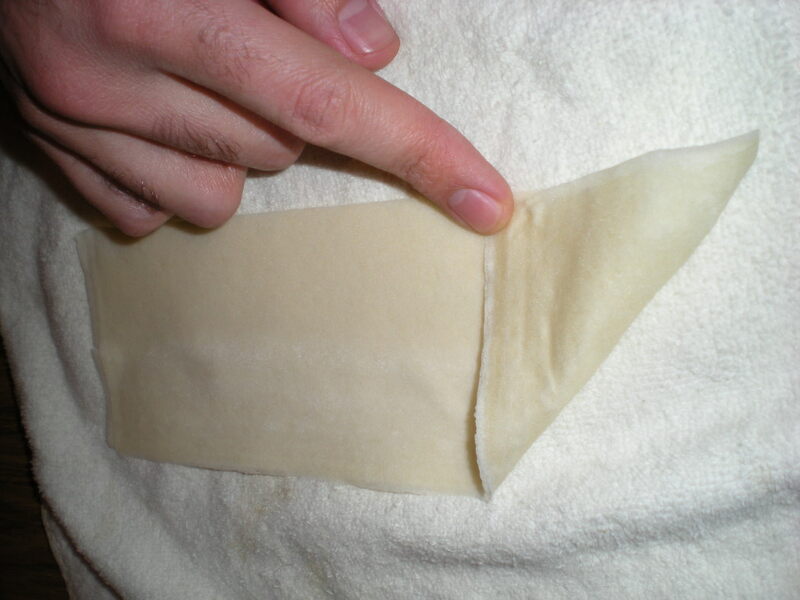 Take the other corner and bring it on the opposite side of the strip to form a pocket. 8. Stuff the pocket with a teaspoonful of filling. 9. Apply flour mix on the strip end. 10. Fold it to form a triangle. 11. 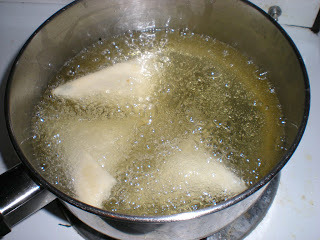 In a pot, heat vegetable or canola oil for deep-frying. 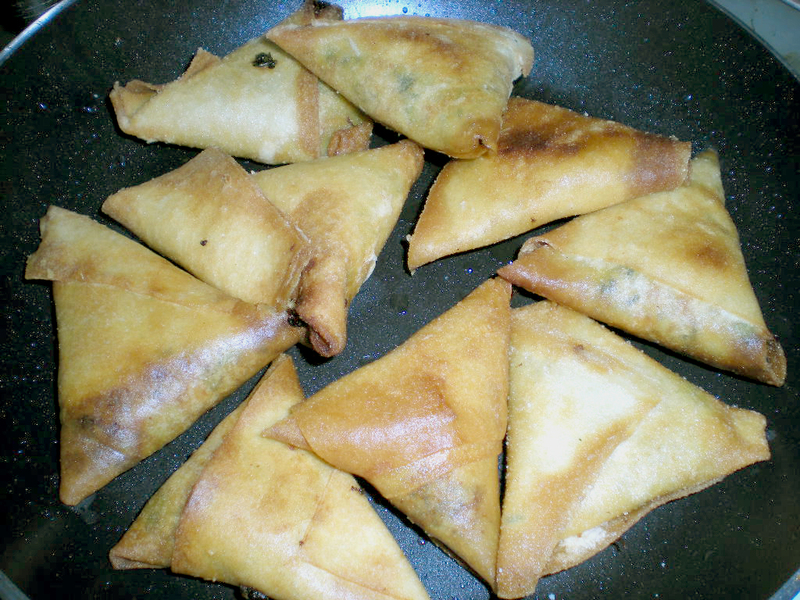 Fry samosas until golden brown, about 2 mins. 12. 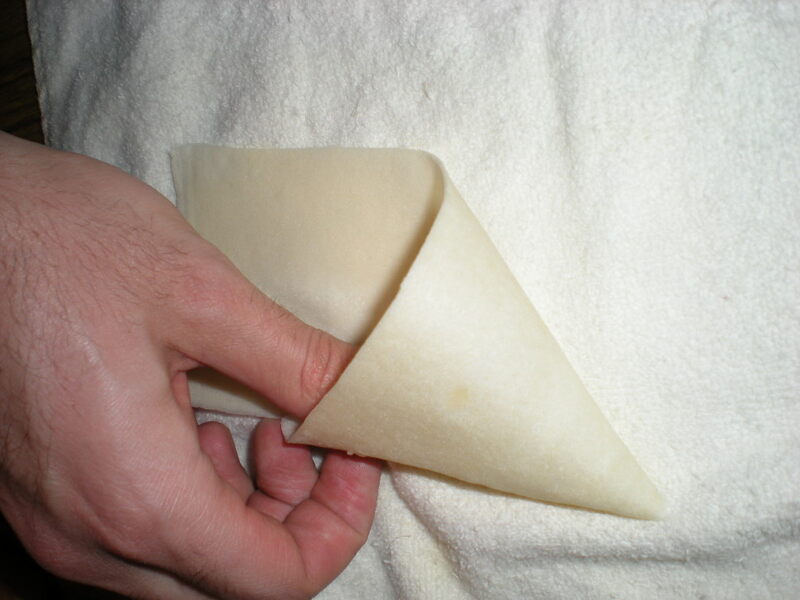 Remove excess oil with a paper towel. Serve. I have to admit that the presentation picture is not pleasing to the eye. The one from Gordan Ramsay is much more vibrant and colorful. By nature, we usually judge food by its cover. We can "see" whether it tastes good or not. Pretty much like searching through cookbooks and food blogs, you decide to cook a dish based on how mouthwatering the pictures look. 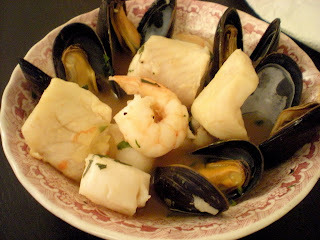 If I added some greens and reds, I would probably convince you to try this dish out. This dish has lots of flavors. The pasta is mixed with crab, white wine and olive oil along with a kick of acidity and spiciness, making this dish pleasant to eat. 1. 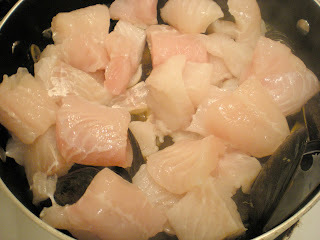 Bring a large pot of salted water to boil. 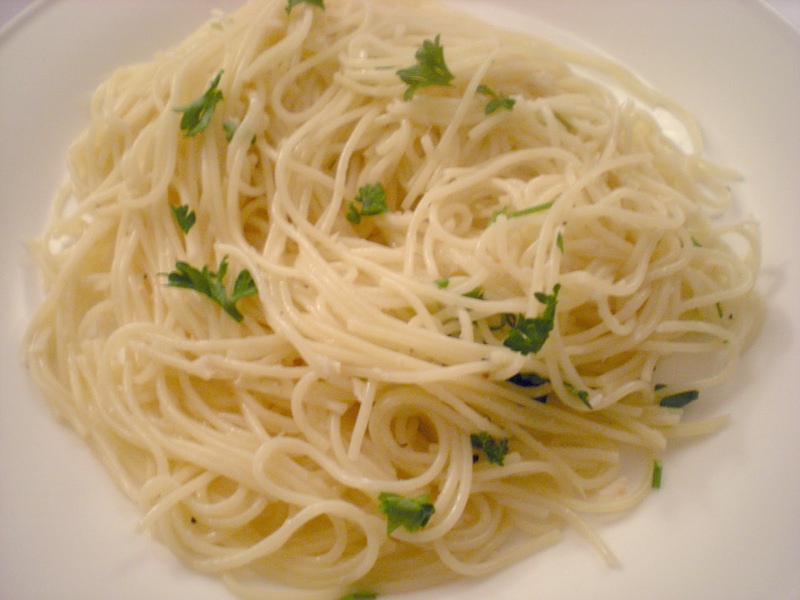 Add the pasta and cook according to pack instructions until al dente, about 3-4 minutes. 2. In large skillet, heat oil over medium-high heat. Sauté for 1-2 minutes and season with salt and pepper. 3. 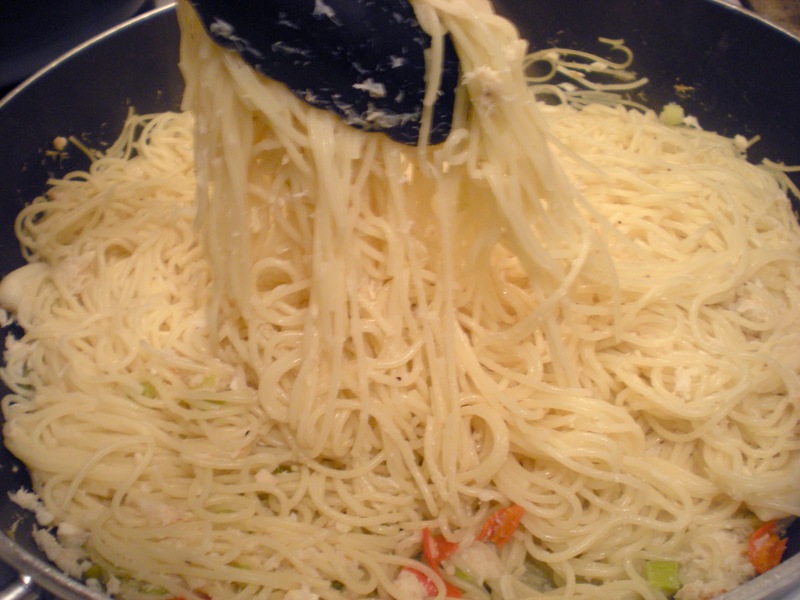 Add white wine to pan and cook until it reduces to half. Stir in crab meat. 4. Drain the pasta, drizzle with olive oil and season with salt and pepper. 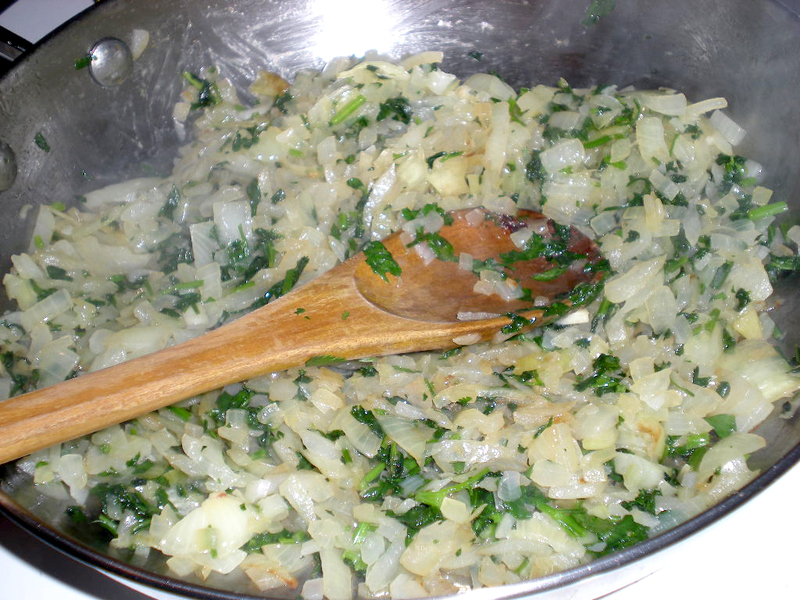 Add the pasta to the crab mixture, chop the parsley and toss the ingredients to combine. 5. Serve immediately with a generous squeeze of lime juice. 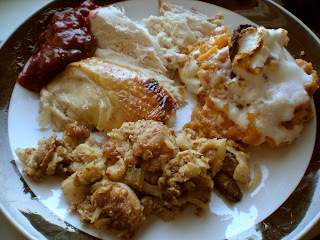 You might or might not have noticed that my last post on Thanksgiving Dinner 2010 does not have any dessert. Well, there is in fact one and I was saving this dessert as an independent post. It is not your traditional Pumpkin Pie nor a Pumpkin Rice Pudding nor a Pumpkin Cheesecake. What is "better" than these dessert? 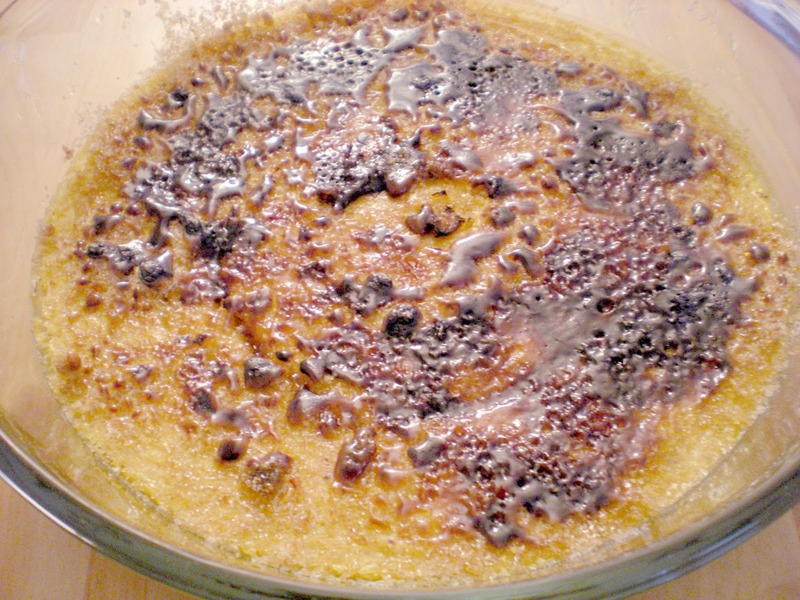 A crème brûlée. 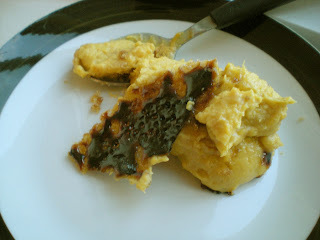 A few months ago, my Mexican friend tried to make vanilla crème brûlée, but it was not a great succes. Now, my Australian friend attempted of making one with butternut squash and I was surprised how good it tasted. I can even say that this is one of the best crème brûlée I have ever eaten. I'm so glad that he shared this recipe. 1. Cut butternut squash in cubes. Roast in oven for 60 mins at 350F. Purée. 2. Beat egg yolks and 4 tablespoons of sugar until thick and creamy. 3. In a saucepan, heat cream over low heat, stirring, until it almost comes to a boil. 4. 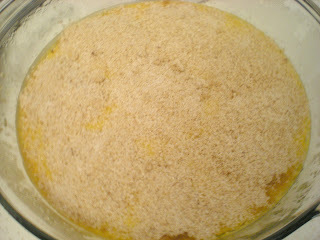 Add a little of the cream to the egg mixture, whisking briskly, then pour the mixture into the hot cream and whisk. 5. 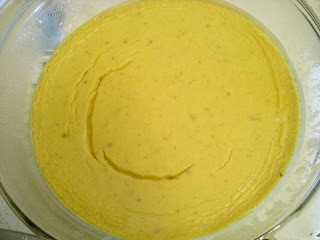 Stir mixture and spices into squash purée. Adjust spices and sweetness to taste. 6. Preheat oven to 375F. 7. Pour mixture into individual ramekins or a large oven-proof dish. Put in a baking dish or tray, with hot water halfway up the side. 8. Bake in the water bath at 375 F for 20-30 minutes. When it's done, it should have a jelly-like jiggle when you shake the dish slightly. Cool in the water bath for about 15 minutes, then chill in the fridge at least 2 hours or overnight. 9. Before serving, combine raw sugar and white sugar and sprinkle on top. Shake to remove/redistribute excess sugar. 10. 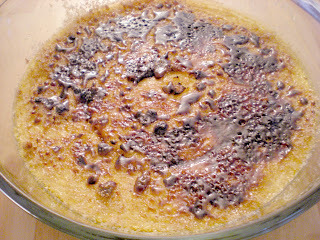 Caramelize with kitchen torch or broiler, taking care not to burn the sugar. Happy Thanksgiving! Finally, this is the time to enjoy great meal with great company. This year, one of my friend was lending his place to cook a full Thanksgiving meal with colleagues. As can be seen on the plate, the meal includes the traditional turkey stuffed with bread and raisin, tofurkey for the vegetarian (and non-vegetarian) and homemade cranberry sauce. We also have candied yams even though it is a dish found in American Thanksgiving. In total, we were 12 people and we had lots of leftovers at the end of the evening. 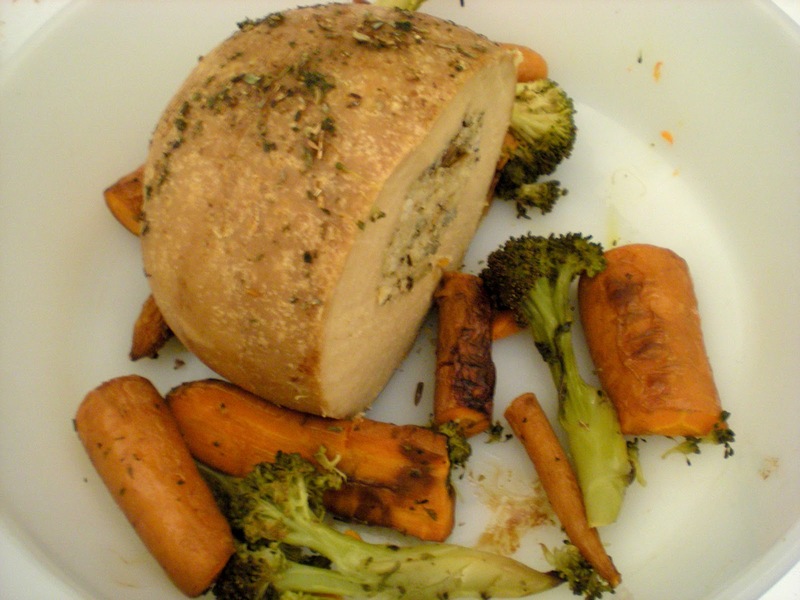 Here are a couple of recipes that are not found in this blog. For the first time, I made cranberry sauce from scratch and I was amazed how the taste differs from canned cranberries. A hint of orange juice is used instead of water. 1. 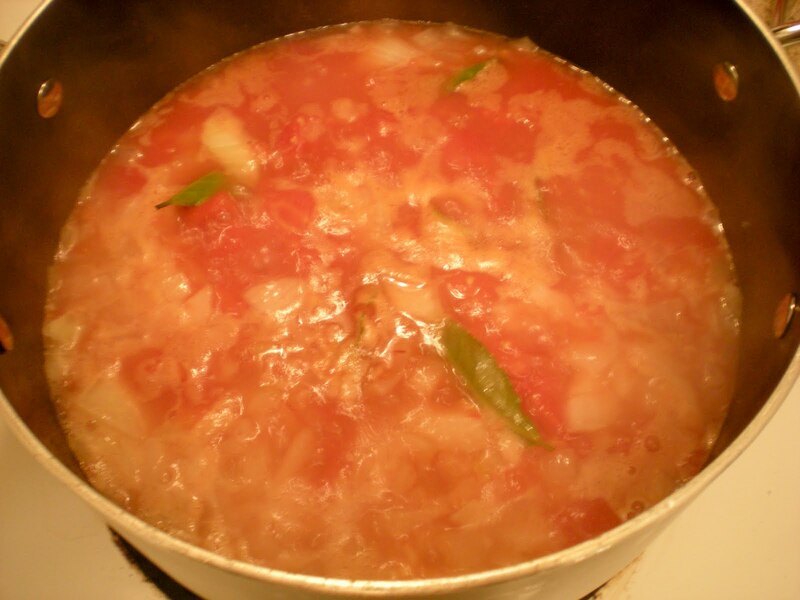 Place all ingredients in a saucepan over medium-low heat. 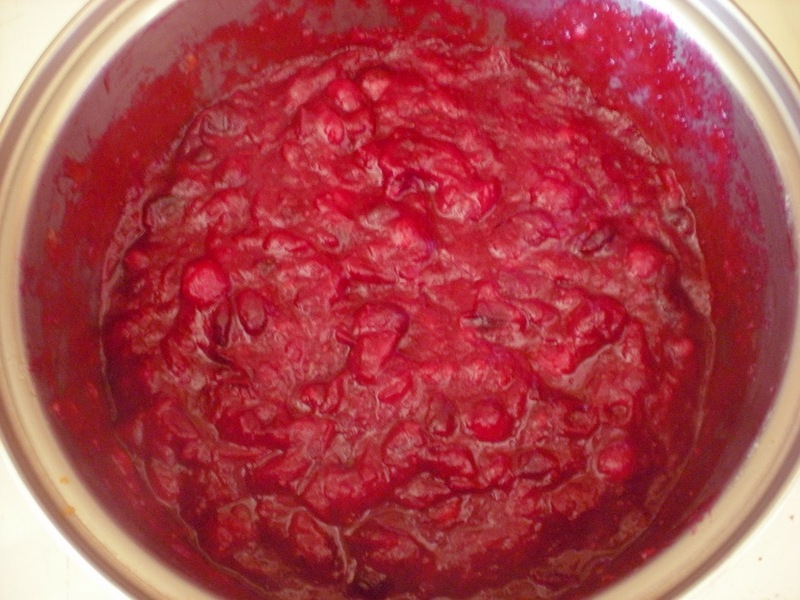 Simmer until cranberries burst and sauce thickens, about 15 mins. Adjust sweetness if necessary. 2. Cool and refrigerate or serve at room temperature. Remove cinnamon stick. What can I say more about this dish, it was yummy and gooey. 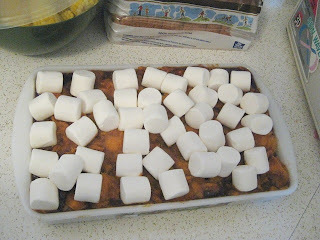 You can find a quick Candied Yams recipe from one of my past post. Here is a not-so-long version of candied yams. Thanks to my friend for providing pictures of his dish. 1. Preheat oven to 400F. Grease a 13''x9'' baking pan. 2. Bring a large pot of water to a boil. Add sweet potatoes and boil until slightly undercooked, about 15 mins. Drain and cool. 3. In a large saucepan, heat margarine over medium heat. 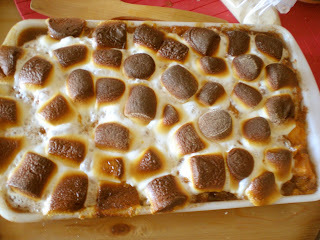 Add in brown sugar, 2 cups marshmallows, cinnamon, and nutmeg. Cook until marshmallows are melted, stir occasionally. 4. Mash half of sweet potatoes. Stir in mashed and chunk-sized potatoes into marshmallow sauce. Pour into baking pan. 5. Bake for 15 mins. Remove from oven and cover evenly with marshmallows. Return to oven, bake until marshmallows are golden brown. 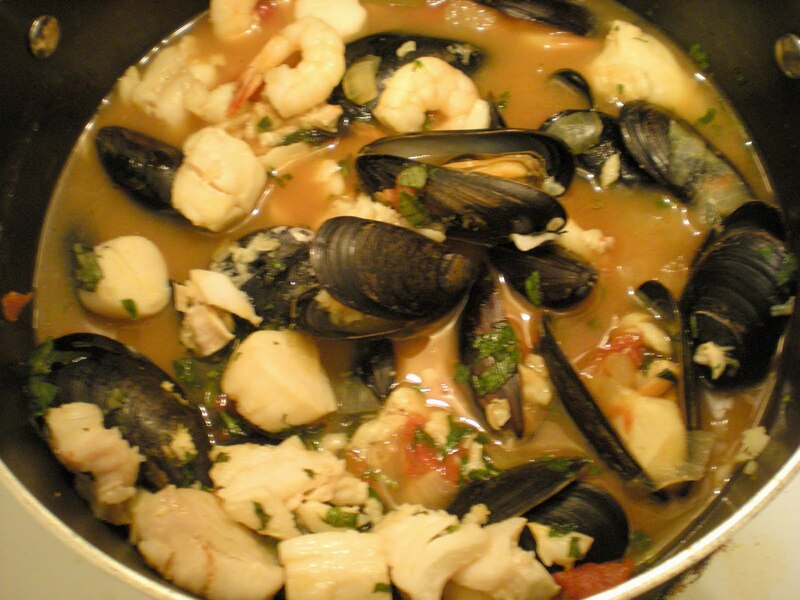 This dish is made by a Paraguayan friend. 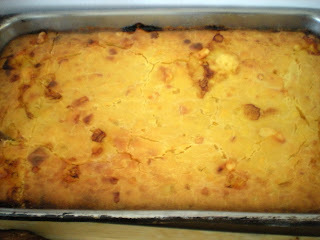 Don't get fooled by its name as it is not a soup, but a Paraguayan version of cornbread. 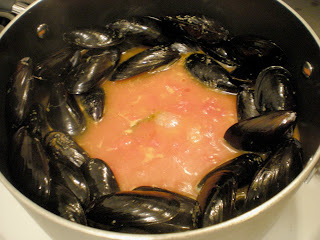 A fun story is found on wiki where this dish is designated as a "solid soup". 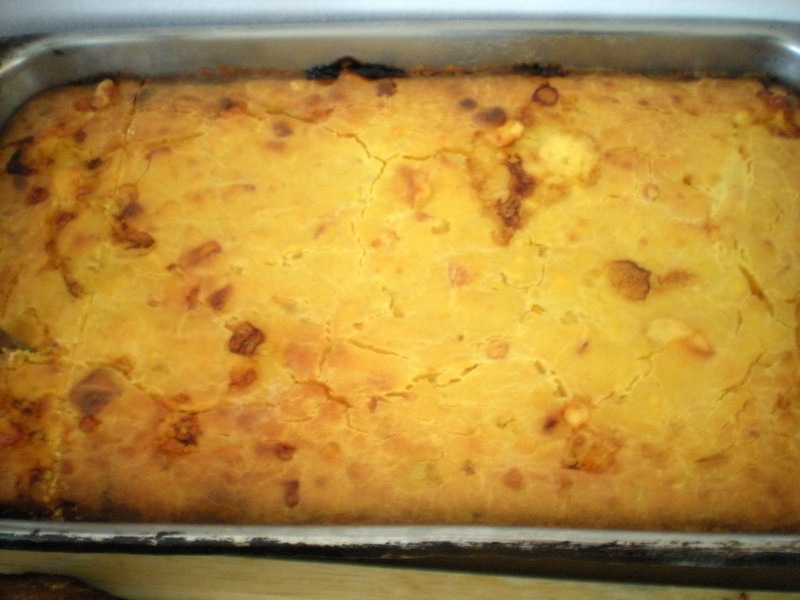 I think what special about this cornbread is that cheese are mixed with the batter to give a cheesy bite. I'm not sure if that is the case for other variations of cornbread. 2. In a skillet, heat oil over medium heat. Cook onions until soft but not brown, add a bit of water if necessary. Season with salt. Set aside. 3. 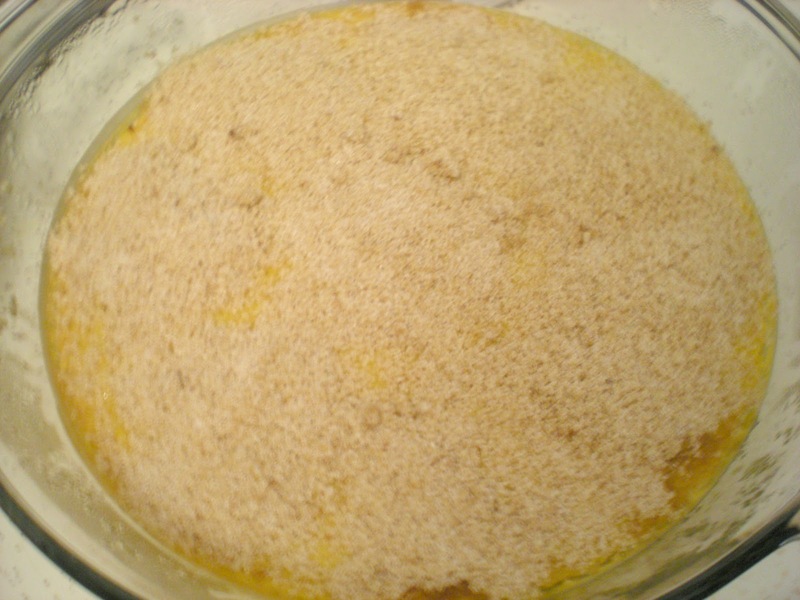 In a large bowl, beat eggs and mix in onions, corn flour, milk, corn kernels and cheese. 4. The mixture should be liquid. Add milk if necessary. Pour batter to a greased 13''x9'' baking pan. 5. Bake for 40 mins or until it passes the toothpick test. When I watch Thanksgiving event on Food Network, it is all about roasting or deep fried the turkey. I was shocked that there is a "turkey" version for vegetarian made out of tofu stuffed with whole wheat bread crumb and wild rice. I really enjoyed it and tasted strangely like turkey. 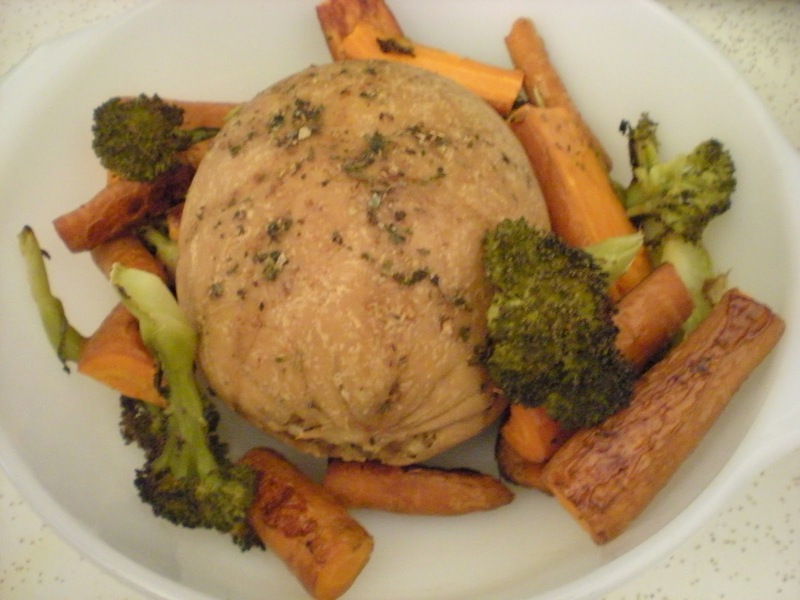 This tofurkey is bought from the Tofurky brand. Here is how it looks like once cooked, it resembles a lot like a roast. This is how it looks inside when carved. If you want an alternative to turkey for the next Thanksgiving, this is it! Finally, for the meatarians, I have to admit that this is my first attempt of roasting a turkey. It is also my first time carving a turkey. 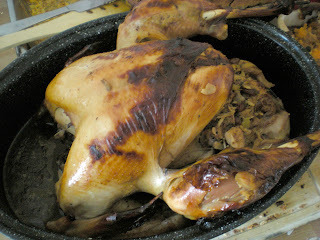 Usually, in every Thanksgiving, my mother roasts the turkey and always ended to be very juicy and flavorful. For the first time, Thanksgiving happens at my friend's place, I have to conquer the fear of roasting and carving the turkey. 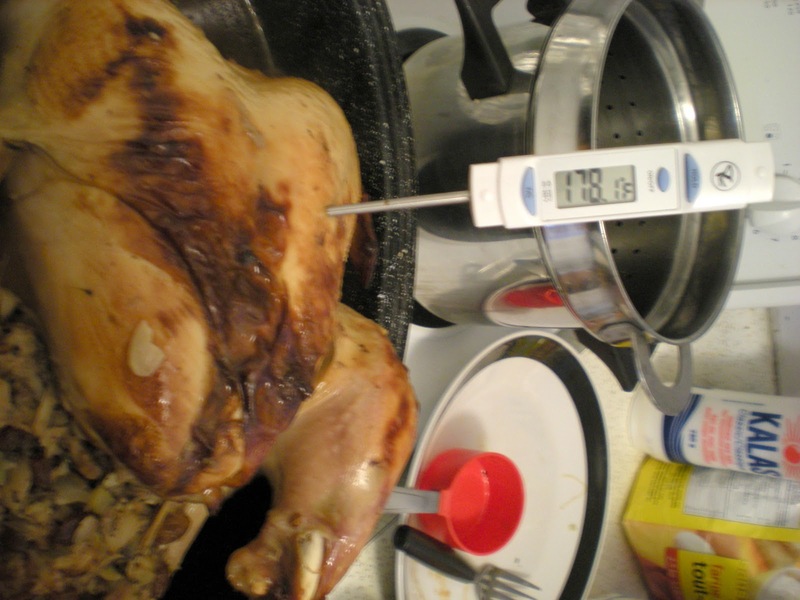 For a fully cooked and tasty turkey, the rule is to roast for 15 mins/pound and baste the turkey every 20 mins. This recipe is inspired from allrecipes.com. To carve the turkey or any poultry, the easiest way is to use a sharp knife and carve along the bones. 2. In a large skillet, sauté apples, almonds, onion and celery in margarine for 5 mins. Remove from heat. Add in salt, cinnamon and zaatar. 3. 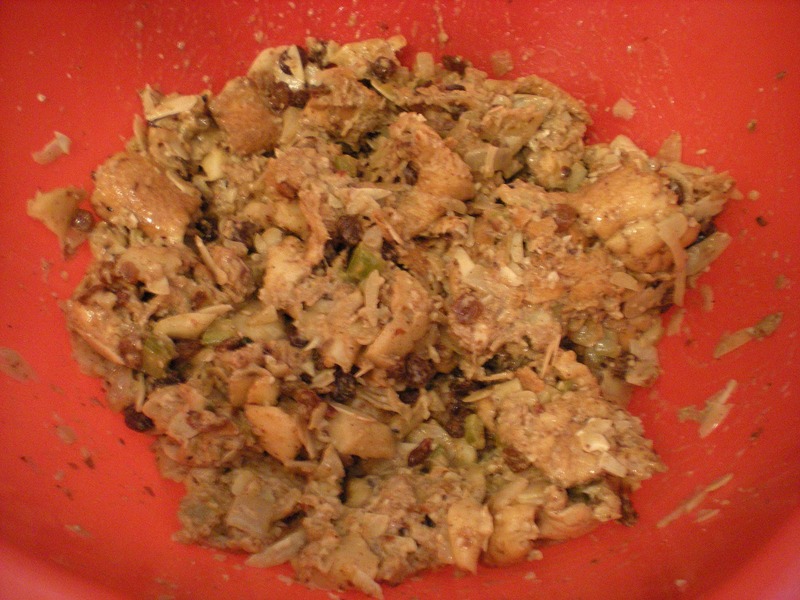 In a large bowl, combine bread cubes, raisins and apple mixture. 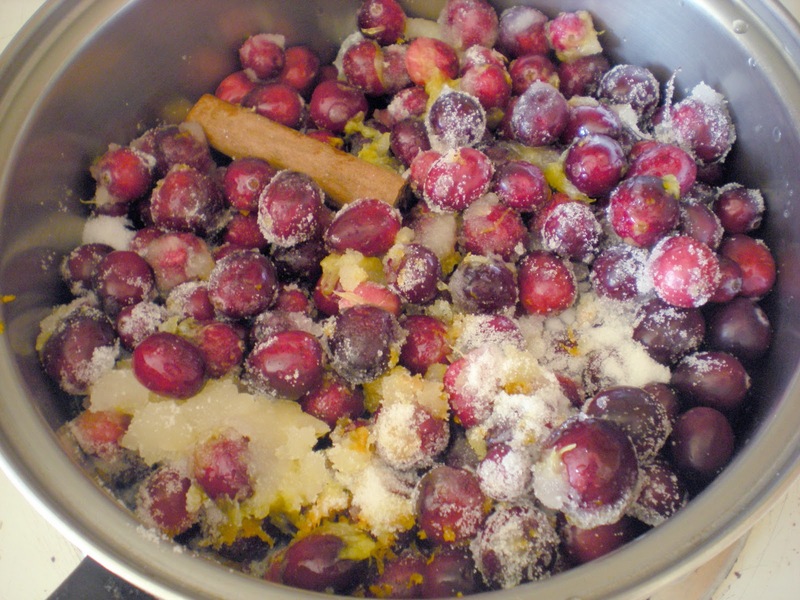 Mix in apple juice and eggs. 4. Season turkey inside and out with salt. Rub turkey with butter or olive oil. Place breast side down in a roasting pan. Use half of the stuffing and place it inside the turkey cavity. Pour water and scatter vegetables at the bottom of the roasting pan. 5. Cover with aluminium foil and roast for 3 hours or until the internal temperature reaches 180F. Carefully turn the turkey breast side up at about 2/3 of its roasting time. 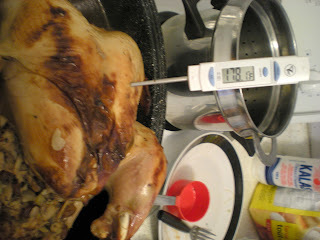 Baste turkey every 20 mins. Let it rest for 30 mins before carving. 6. 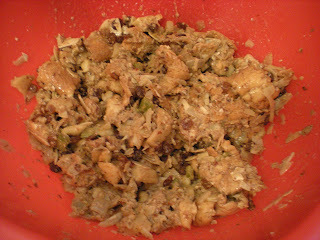 Bake remaining stuffing, covered, for 30 mins. Uncover, bake for an additional 10 mins until lightly golden brown.